World Vision CEO: "I am absolutely heartbroken for the children on Nauru." We talk about children in disadvantaged circumstances – victims of war, famine and poverty – like it’s only a problem of other, morally deficient countries. We don’t see Australia as part of the problem. And yet we are. More than 120 children who arrived on our shores – by sea – seeking refuge with their parents are now, in effect, being held captive on a remote pacific island in our name. They might not be behind locked gates and barbed wire fences, but these children are effectively trapped against their will. There is actually nothing that can justify the imprisonment of innocent children. Anywhere. Anytime. On ABC’s Q&A this week, Gabby Sutherland, a former teacher at the Nauru detention centre, held up a fresh photo of these kids, reminding us all that despite our Government’s protestation to the contrary, these children are effectively still being detained against their will. Snapped the day before the program broadcast and sent to Gabby, the photo, as they always do, spoke a thousand words. We couldn’t see the detail of their pixelated faces. But you could tell they were toddlers, babes in arms and older kids being asked to stand still for ‘just a mo’. 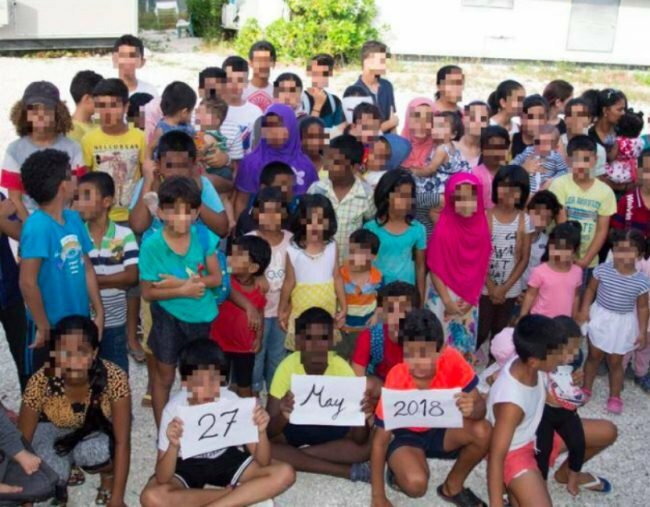 Many of these little ones have now spent almost five years on Nauru, a tiny dot of rock in the Pacific Ocean five times smaller than Victoria’s Phillip Island and half the area of Magnetic Island off the coast of Townsville. You could walk around the entire shoreline of this little nation in one afternoon. But, make no mistake, Nauru is no island paradise. Australia is purporting to give these kids a home on what is effectively a former phosphate mine. Just 21sq km, the island is mostly stripped of its tropical plant and wildlife and now peppered with limestone pinnacles, a permanent reminder of the phosphate mining from the 1900s. They are more than 1000km north-east of the nearest landmass, the Solomon Islands. They more than most have come to understand the intensity of isolation. What makes my heart break is that we are denying them the most fundamental of rights; their liberty. These children are also being forced to grow up without the very basics that Australian parents consider necessities for their own sons and daughters like a decent education. Humanitarian workers find access to toys and the normal stimulating environment that parents anywhere will try to create for their children is limited. Unshaded, hot rocks leave them with few places to play. Wild dogs roam the island. There is no such thing as a backyard to play in. Significantly they are growing up without grandparents, aunts and uncles, cousins and in some cases siblings. But most devastating to their well-being, their innocence has been taken. All they have known from a young age is a world of fences, security guards and uncertainty. They are witnesses to and sometimes a part of protests – they see lip stitching, self-immolation and other self-harming. The chance to pursue outside-school interests is limited. “Any activities that are offered, such as weekly soccer, must be accessed by entering the detention centre again, that means being checked by security guards with their electronic wands and emptied of belongings,” one person who has regularly worked with the refugee and asylum seeker community on Nauru has told World Vision. World Vision Australia CEO Claire Rogers speaks with a mother in Cox&apos;s Bazar, Bangladesh. Image: Supplied. I haven’t been to Nauru. Few people have. But I’ve seen firsthand the plight of children growing up in refugee camps. People should not be left in limbo. In Cox’s Bazar, Bangladesh, a precarious camp for a million Rohingyan refugees who fled violence in Myanmar, I met a vibrant, intelligent girl called Jubaida. She was a leader among her peers. When she’s a little older, her life will close in. In the days I was there, it struck me how older teenage girls were invisible in the streets - it wasn’t safe for them to venture out. By leaving refugees languishing – in places like Cox’s Bazar and in Nauru - we steal generations of future leaders. They lose hope and they see dreams of being a doctor or a firefighter or a teacher slip from their grasp. The Australian Government has refused to budge on the fate of the Nauru refugees. And when some in the Australian Labor Party venture to discuss our obligations to find them a new home, the political powerbrokers backpedal because they lack the moral courage needed of true leaders. What has become of our moral compass on how we should treat the most vulnerable among us, our children? As CEO of World Vision Australia, I am leading our efforts to ensure the rights of children are recognised and upheld across the globe. The last place I had expected to have to wage this battle is in my own country. Today, June 1, many countries will be celebrating International Children&apos;s Day, a day we observe on October 24 in Australia. That is 145 days from now. My hope is that by then Australia&apos;s shame and more importantly the lost children of Nauru will be things of the past, and I can write instead of the stories of new, resettled lives of children, women and families who are both safe and free. 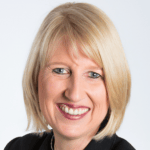 Claire Rogers is World Vision Australia’s Chief Executive Officer. GetUp has launched a petition to bring the children, women and men of Nauru to safety.